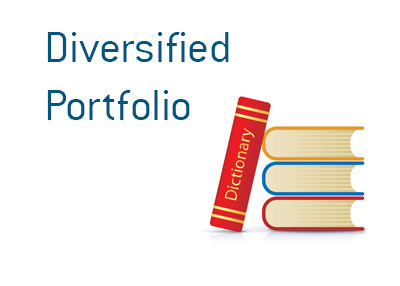 Diversified Portfolio - What Does It Mean? What is a "diversified portfolio"? What is the definition of the term "diversified portfolio"? When it comes to the stock market, a diversified portfolio is a portfolio that usually includes a broad mixture of a number of different asset classes. With this portfolio, the investor has a healthy mix of equities and bonds, as well as a bit of cash in case they decide to take advantage of market volatility that produces favorable valuations. It's interesting to note that Warren Buffett, who is the greatest investor of all time, is not a big proponent of diversification. Instead, he has no problem taking very large positions in companies that he is confident in. Buffett warns, however, that he is able to take more concentrated positions thanks to his deep knowledge of the companies that he invests in.